Disco tagada rides are a fairly popular fairground rides in Pakistan for children and the young people because of the disco appeal. As the most widely seen amusement park rides in Pakistan, some people also call it the tagada, disco turntable or space disco. This rides are originated from Italy and quickly spread all over the world. A lot more Pakistani people love to go to the amusement park, outdoor/indoor playground, square, building area to ride this tagada rides. The disco tagada ride for sale bought from Beston can helps you attract more visitors and brings a lot of money for your investment. 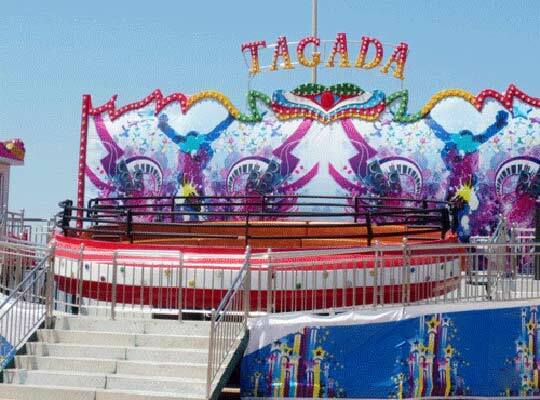 The tagada fair rides are the medium-sized thrill rides for kids and adults with high speed rotation. It is mainly composed of three parts: round bowl, the platform and the fence. And there is no seat-belt or restraint for the round bowl, which can increase the thrill feelings of the disco tagada. The fence has the function of protecting the passengers from hurting themselves. When this disco turntable starts working, the round bowl starts rotating and at the same time, it turns ups and downs through the constant bounce of hydraulic arms in this equipment. At the same time, the music starts playing. The whole process are controlled by a human operator. During the whole process, riders only can hold onto bars behind their seats. 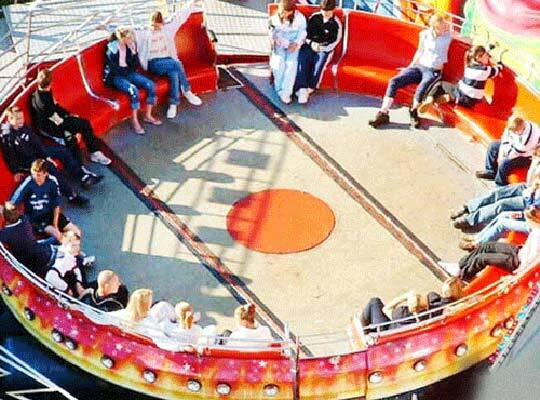 Passengers sit around the round bowl and their body turns up and down with the tagada along with the music. The tagada disco makes various unexpected changes: tilting, bumping and rotating, which makes riders feel more excited. Therefore, riders can feel they are in the space craft and experience with endless variations under the effect of strong centrifugal force and high speed spinning, which is Pakistani people’s favorite. 1. The strength of Beston disco tagada rides must conform to the national standard and Beston staff must test the crack detection and infrared penetration of each weld. 2. Manufactured with high quality fiberglass reinforced plastic and painted with non-fading and durable painting, Beston tagada rides can be corrosion resistance and environmental protection. 3. 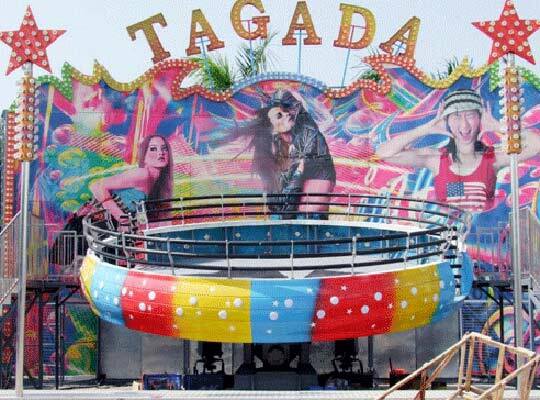 Beston tagada fair rides has features of exquisite workmanship, smooth surface, gorgeous lights, intense vibration and swing, long service life, safe, innovative appearance and lower prices. 4. There are different capacity for customers in Pakistan to choose from in Beston group, including the mini tagada rides for kids: 4 seats, 8seats, 12 seats, 16 seats and 24 seats, 36 seats and 40 seats. 5. 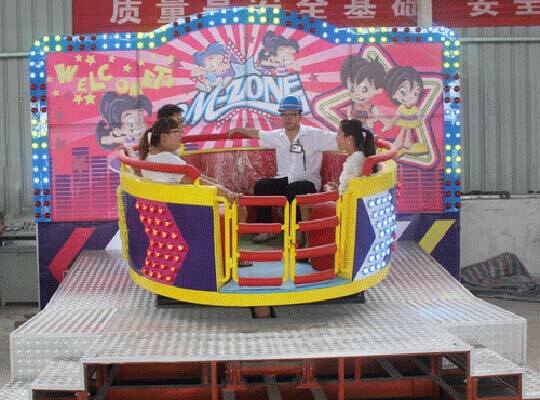 Beston accepts the customized amusement park rides to meet different requirements of customers. 6. The thickness of stainless steel fence is between 1.2mm to 1.5mm and the foot place is manufactured with anti-skid aluminum plate. Many researches show that disco tagada rides have a great development prospect in the market of amusement park equipment. It is worthy of investing in this games to build your theme parks and this tagada attraction can attract a large amount of visitors for your parks from Pakistan. In this way, your investment on this fairground equipment will be a great success. All sales managers will give you the instant and professional response when you have any demand and contact us.